The sizes of stars are plotted out in the Hertzsprung-Russell Diagram. The sizes range from super giant to brown dwarf. The perception of the size of a star can also be affected by the star's closeness and brightness. Put simply, a nearby white dwarf might appear to be brighter than a distant red Super Giant. There are also myriad other factors that affect our perception of the size of a star, and astronomers are constantly searching for, and discovering them. The stars known a Super Giants are luminous stars with a mass more than 10 times higher than that of our sun and have started to decay. With these stars, the cores contract, heating and firing to fuse the helium to carbon and oxygen. When these stars expand, they approach the sizes of the orbits of the outer planets. If this happens, they become red super giants. As the star decays, the carbon and oxygen mixture compresses in the core and heats, fusing into a mixture of neon, magnesium and oxygen. Hydrogen and helium fusion move out, making nested shells around the core. When carbon fusion dies out, the remaining mix of neon, magnesium and oxygen also moves out into a shell. Red super giants can also contract, heat up and form blue super giants. Giant stars start out with a mass about 0.8 to about 10 times the solar mass of our sun. As they evolve, the fuel in the core runs out and the helium core contracts, heats up, then expands to form a shell around the old core. When that happens, the star gets brighter and expands, and the star becomes a red giant. Main sequence white dwarf stars, like our sun, are in the central part of their evolution. In this phase, the helium in the core fuses into hydrogen. These stars have a mass of 75 percent to 120 percent the mass of our sun. 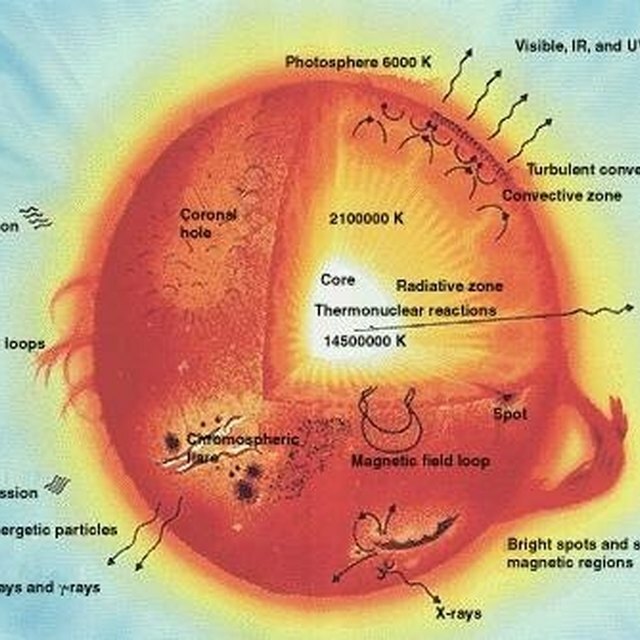 Main sequence stars expand to become giant or super giant stars when the core hydrogen runs out. This progression, called solar evolution, varies greatly in time span. The higher the mass of the star, the shorter the evolutionary cycle, because higher-mass stars use their hydrogen fuel much more quickly than lower-mass stars. This process can take as little as 2 million years for high-mass stars. Smaller-mass stars can last as long as 3 to 12 billion years, just about the same span of time as is projected for the galaxy. Brown dwarf stars do not have enough mass to run the full nuclear fusion process and transition from main sequence to giant or super giant stars. If their mass is between 12 Jupiter-masses and 78 Jupiter-masses, they fuse deuterium, which is heavy hydrogen with an extra neutron, to helium. If they are smaller than 13 Jupiter-masses, fusion stops altogether. EurikAlert: How Small are Stars Really? Grant, Virginia. 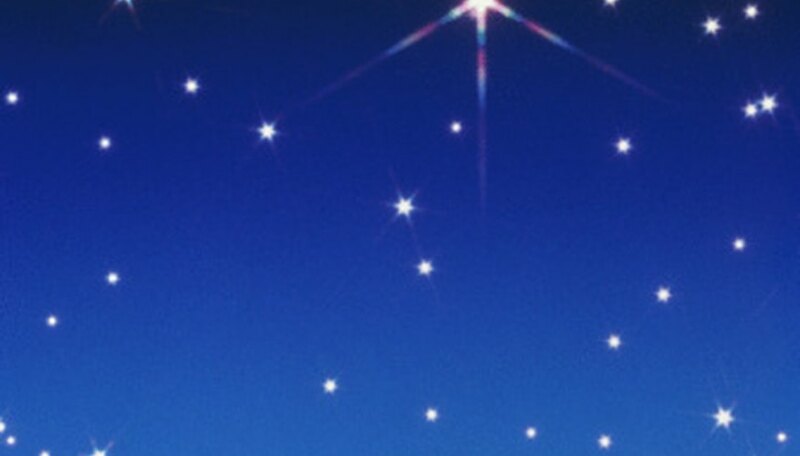 "What Are the Different Sizes of Stars?" Sciencing, https://sciencing.com/different-sizes-stars-8491981.html. 24 April 2017.